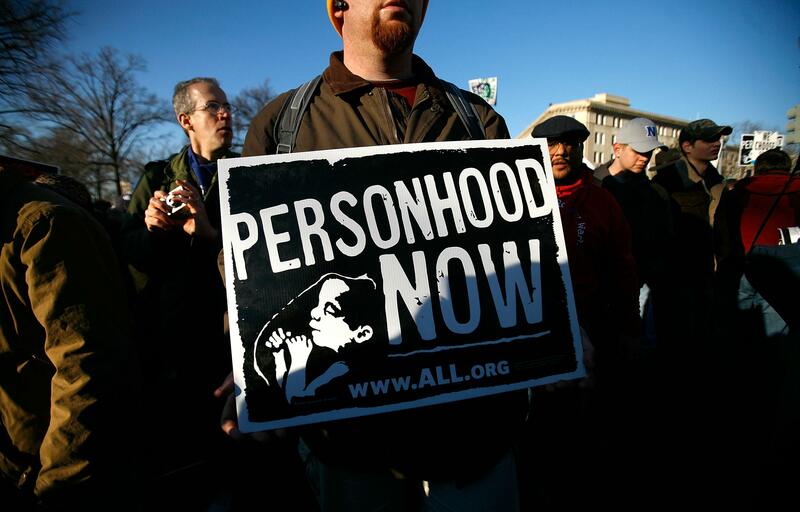 The defeat of personhood in Mississippi shows how empty a term "pro-life" really is. If they can’t win in Mississippi, they can’t win anywhere: that’s the takeaway when contemplating the resounding defeat of a ballot initiative that would extend personhood status to fertilized eggs. Going into election day, the polls were evenly divided on the issue, but then the pro-choicers won handily, 57-43 percent. The numbers lead to the unavoidable conclusion that not only did all the undecided voters break for the pro-choicers, but at least some people who said they were voting for the bill lied to pollsters, or changed their minds at the last moment. Part of the reason for this is that the religious right has so much social control in Mississippi that people are afraid to speak aloud what they secretly think, and another part of it is that a coalition of civil rights and faith leaders that aren’t part of the hyper-misogynist fundamentalist faction did a good job of educating the public on how extreme this measure is. The other important takeaway from this is that there’s a genuine disconnect between the anti-choice movement and people who identify as “pro-life” but aren’t in the movement. Anti-choice activists look at polling data showing that a slight majority of Americans claim to be “pro-life” and declare victory, but what those polls really reflect is not people’s genuine opinions on reproductive rights so much as the power of the anti-choice movement to cow people into cursory agreements with them out of fear of being seen as impious. In other words, saying you’re “pro-life” is more about marking you as a member of a tribe, pledging fealty to your faith or to your identity as a “conservative,” for a lot of people. If you dig into the Gallup numbers, in fact, it seems that on the abortion issue alone, around half of people who claim to be “pro-life” actually would like abortion services to be available in the cases they imagine that they or their loved ones could need them. I imagine if you polled people who labeled themselves “pro-life” on other issues central to the anti-choice movement, such as severely restricting or banning contraception, you’d find even more of a disconnect between what the movement wants and what people who adopt their labels but aren’t part of the movement want. So when the personhood proponents push forward and say they’re going to keep trying to get this law passed in some state, one of the many reasons they aren’t willing to give up is they just don’t get that people they see as fellow travelers aren’t. But I don’t actually blame the fanatics for this state of affairs. Fanatics are going to be fanatics, and there’s not much we can do to stop that. The real people to blame are conservatives who don’t bother fighting anti-choicers and instead waste all their time getting angry at feminists and pro-choicers for having the temerity to point out how fanatical the anti-choice movement is. If conservatives who aren’t fanatics stopped feeding the delusion by voting for and supporting the anti-choice movement while pretending not to see how out of control they are, the fanatics would be much easier to rein in.